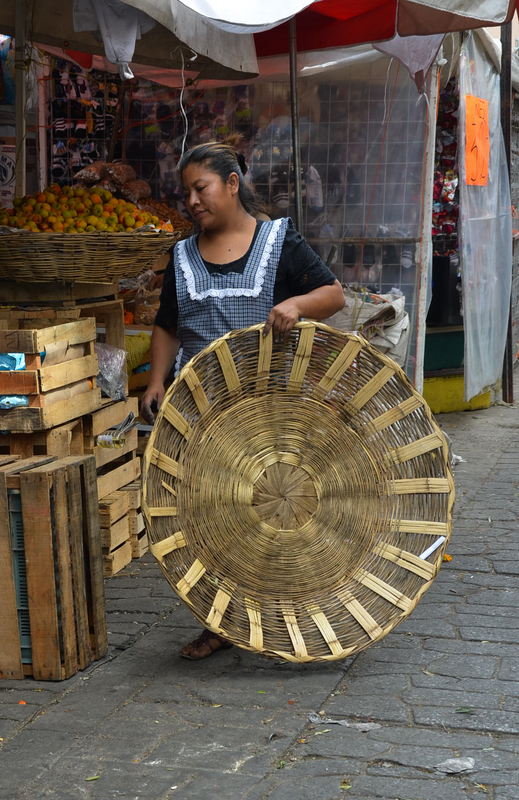 Whether it’s the selling of food at a street corner, hand woven palm hats from a seat at the edge of a high concrete planter box, or from behind a market stall, commerce is alive and well in Oaxaca. 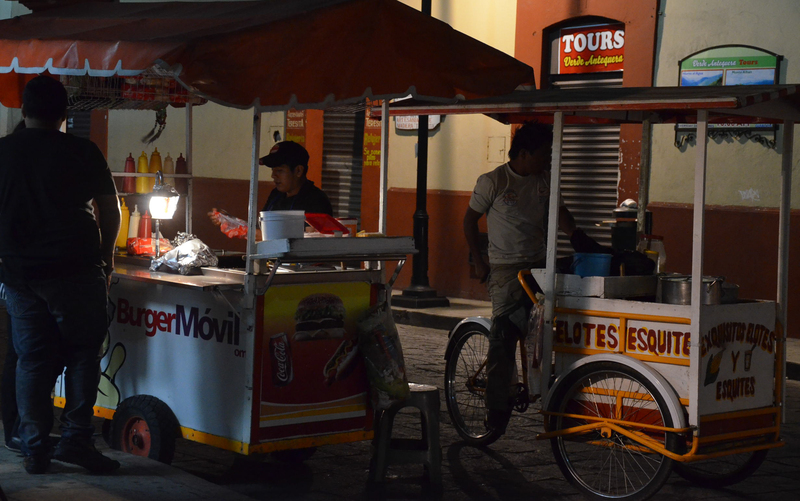 At night, returning from a delicious dinner of coconut shrimp at Los Danzantes restaurant, we turned the corner to get to our hotel and found this: Burger Movil (the moving burger) and Equito Elotes (corn on the cob). Think Food Truck, which I believe must have been invented by Mexicans! 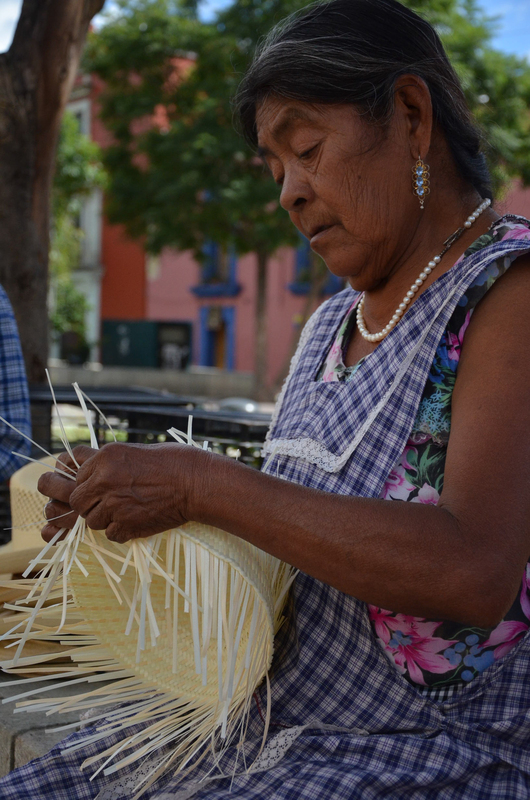 Some of my favorite street vendors are the hat weavers. It’s catch as catch can with them. If you see them one day, you may not see them again for weeks. They move from place to place depending on the traffic. Her fingers are like flying shuttles, I could hardly keep up with them. 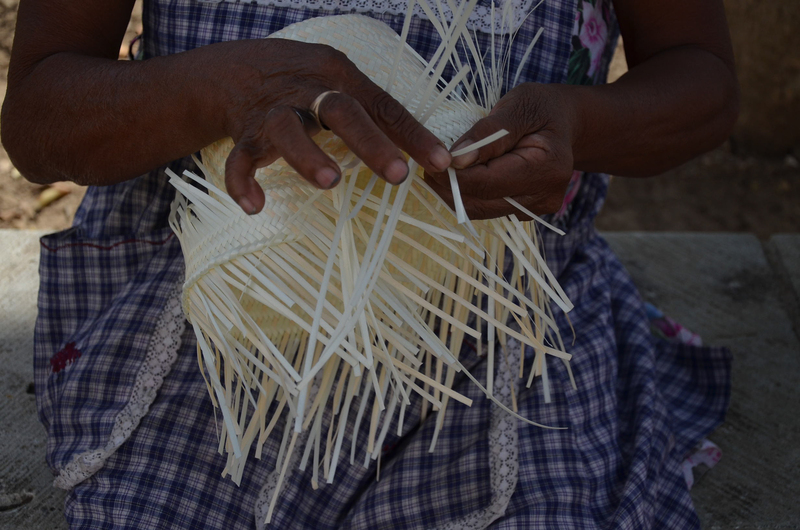 Handmade hat: 220 pesos and photo with permission! 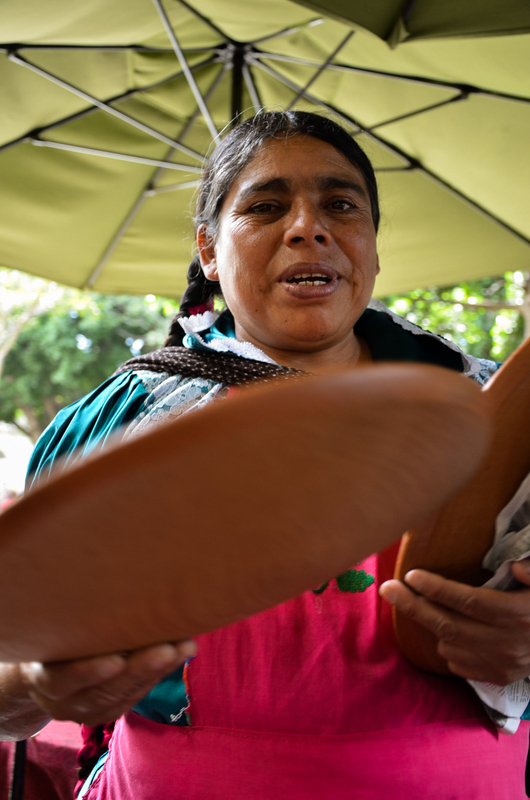 The women from the red clay pottery village of San Marcos Tlapazola, southwest of Tlacolula in the mountains, are part of a cooperative that makes almost entirely utiliarian ware, primarily comales or griddles, bowls, and jars. 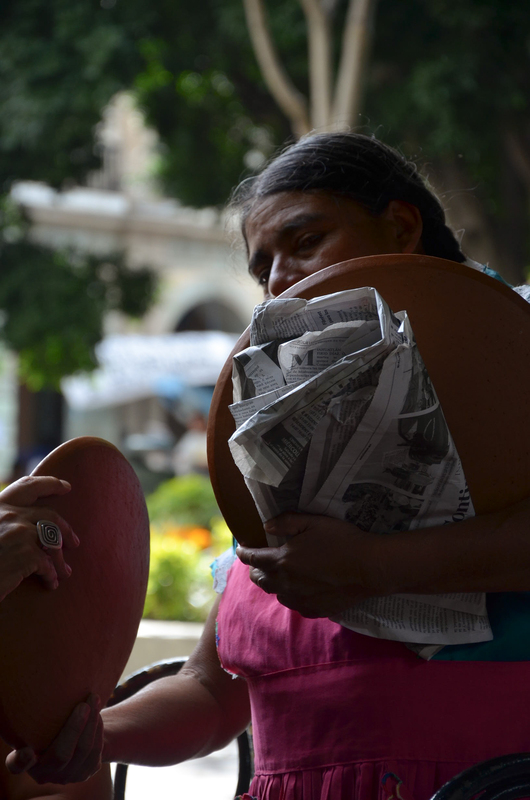 The Zocalo in Oaxaca city provides a ready market for approaching prospective buyers who sit at outdoor cafes. 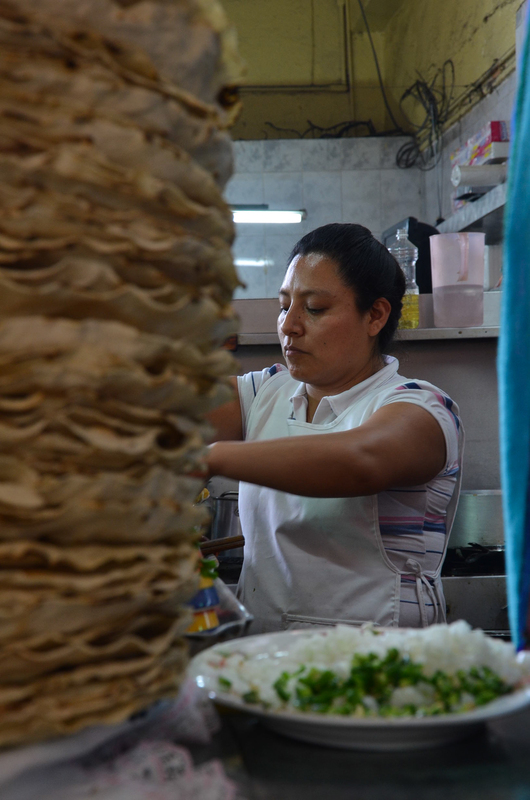 Small comal was 20 pesos. I had to buy one in order for her to stop long enough and to agree to get a photo of her. Little bags of potato chips and crunchy cheese rings drizzled with chili sauce make a great portable snack. 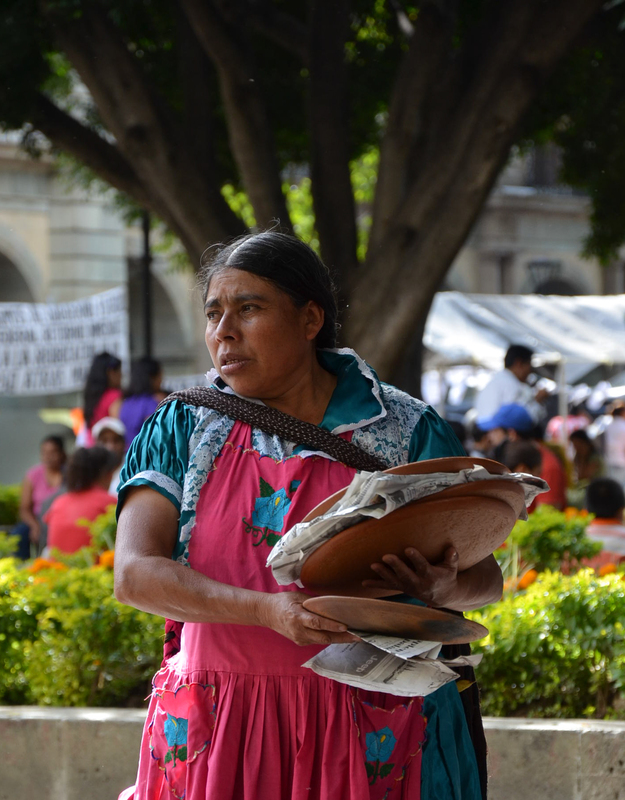 After about 20 minutes, when he had no takers sitting in front of the Catedral on the Zocalo, he picked up and moved on. 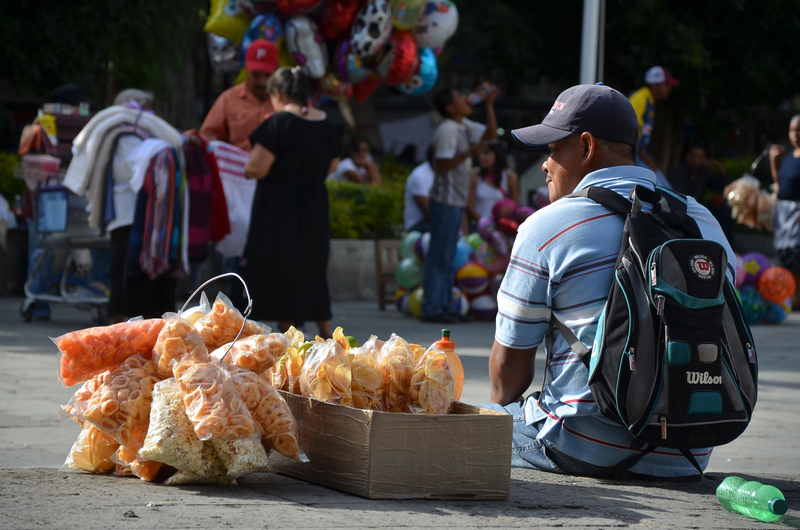 I saw him later that day at another spot closer to Santo Domingo Church. 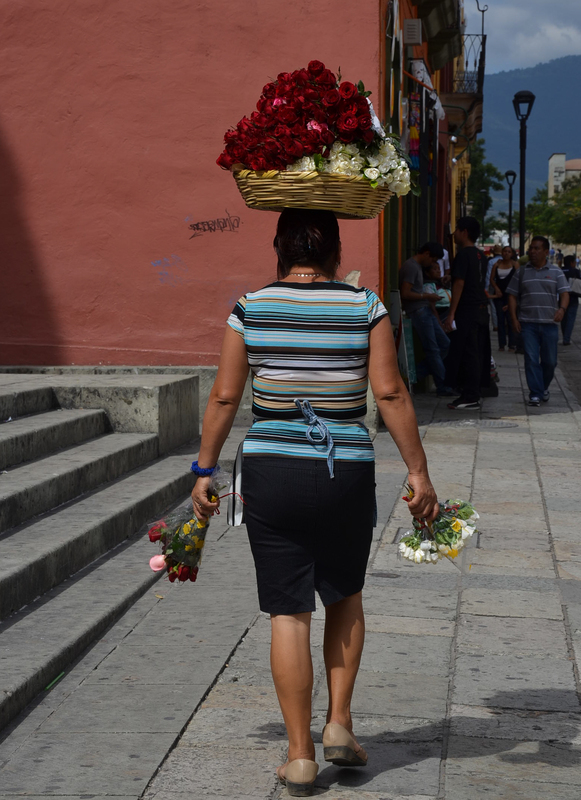 And how does she balance those gardenias and roses on her head? 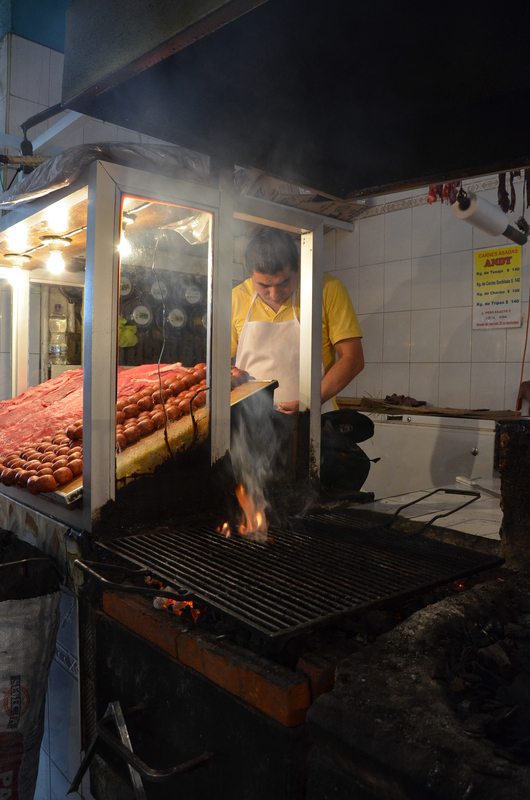 At the Benito Juarez Market and the 20 de Noviembre Market just two blocks away from the Zocalo, there is a buzzing corridor where men put chorizo and salchicha and flank steak on the grill along with fresh veggies. The corridor is lined with cafe style tables and benches filled with hungry families. 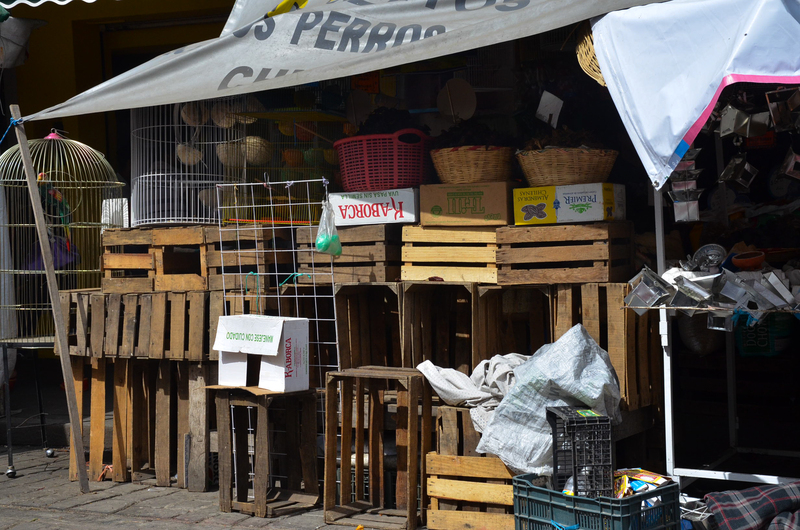 This entry was posted in Cultural Commentary, Food & Recipes, Oaxaca Mexico art and culture, Photography and tagged blogsherpa, markets, Mexico, Oaxaca, photography, vendors. Bookmark the permalink.